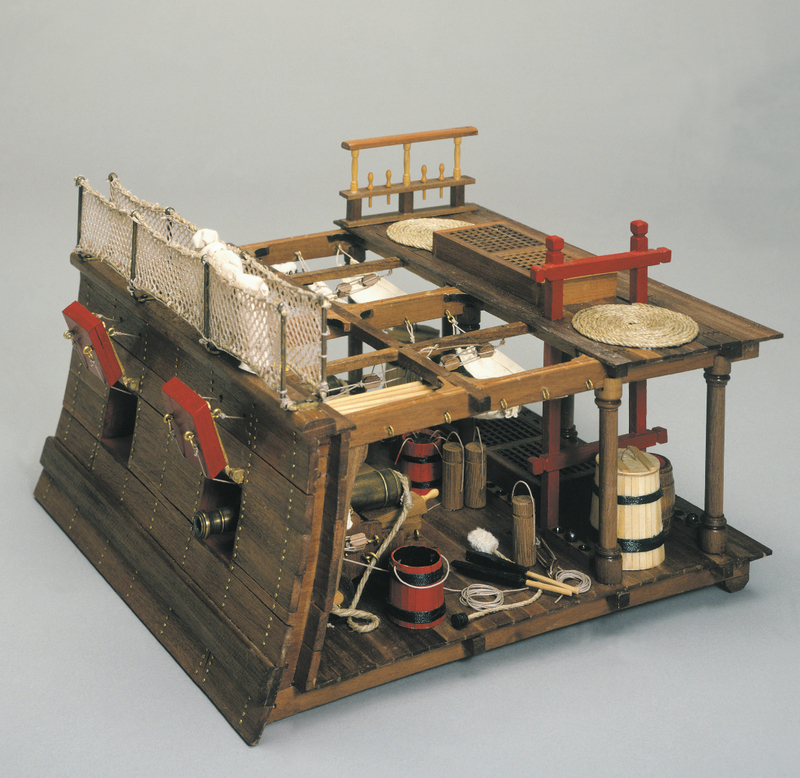 Interesting and well detailed scale model is a section through a typical English fighting ship of the early 1800's. The kit has two 100mm long machine turned brass cannons on walnut carriages. Fuse buckets, shot cartridges, plugs, mess tins, table and benches, gun powder and water barrels. All laser cut ply sections, double planking for the bulwarks, two decorated brass cannons, all necessary wooden and metal fittings together with building plans with general details and English instructions.